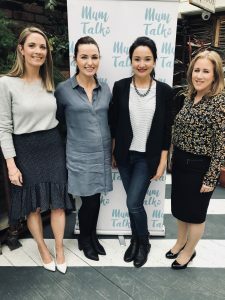 New Ireland is delighted to partner with Mum Talks to support women returning to work. As a partner of the Return to Work with Confidence workshops, New Ireland is proud to support our customers and colleagues in their confident transition back to the professional environment. As a responsible employer, we are committed to understanding and supporting the challenges our colleagues experience at all stages of their careers. We are very excited to take this important step toward better enabling them to succeed in their careers when returning to work from either maternity leave or a career break. The events, which will run every 6 weeks in Dublin, will be facilitated by Sinead Brady, Career Psychologist and are designed to be practical, high energy, fun and engaging workshops to prepare women for their return to work. Topics covered include; practicalities, momentous moments, non-negotiables, first 100 day back strategy and permission to design your own success.